The majority of SUVs being recalled are diesel Macan models. 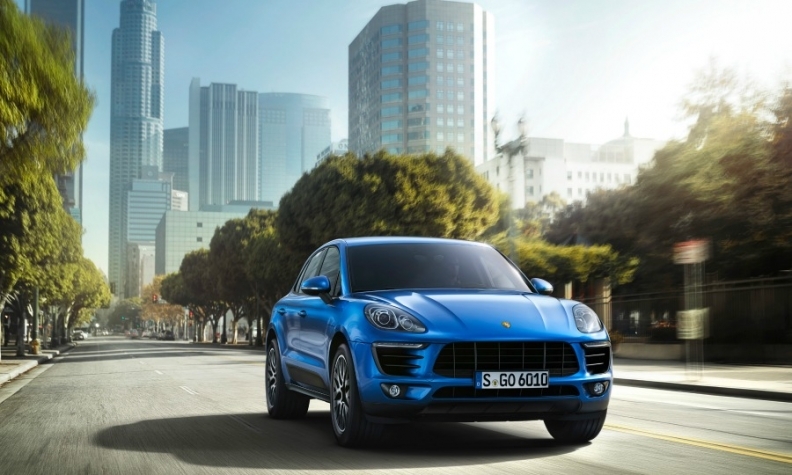 FRANKFURT/BERLIN -- Porsche must recall almost 60,000 diesel Cayenne and Macan SUVs in Europe to fix manipulated engines after Germany's auto industry regulator, the KBA, found software functions that are illegal. Inspections of the SUVs found they contained software that could reduce emissions controls for smog-inducing nitrogen oxides, the German transport ministry said Friday in an emailed statement. Porsche wasn't immediately available for comment. The recall, for 52,831 Macans equipped with a 3.0-liter V-6 and 6,755 Cayennes with a 4.2-liter V-8, marks the latest setback in parent Volkswagen Group's effort to draw a line under the diesel-emissions cheating scandal the automaker has battled since September 2015. Last week, Porsche's sister brand Audi suspended deliveries of the current A6 and A7 models, continuing a string of recalls that are a blow to the brand's image. Porsche, which uses diesel engines supplied by VW Group sister brand Audi, had informed German regulators in February about "irregularities" it found in emissions tests. The mandatory recall was first reported by German weekly magazine Der Spiegel. Audi in March said it expected Germany's automotive watchdog to issue more diesel recalls as it scrutinizes a pool of vehicles it sold in Europe. Audi started tests in July on about 850,000 cars.